Still having issues w/ my Savage MKII. Soaking the chamber now to see if maybe its just dirty and wouldn't come clean w/ a normal light cleaning. If that fails I'm going to take it to a gunsmith or send it back to Savage to see if they can fix it. I rigged up a soak tank for when i purchased a cosmolined Russian surplus rifle out of 4 " pvc . Its 4 ft long capped one end and glued a screw cap on the other. so now whenever I shoot corrosive when I get home it goes for a soak... Wait what was I talking about?. Ah yes the tube, cheap simple to deep soak something . This is all I have to offer but it is a fun little light weight smith and Wesson 10 shot .22. I actually put a handle with a laser sight on it too. Super fun! I wondered what it went to! I picked up a 2nd MkII FV-SR. Going to get an optic mounted on it and give one of them to my Dad. Early Bday/Fathers day gift, I think he will get a kick out of it. Its not something he would probably buy for himself but he enjoyed shooting my bolt guns tremendously over the last few months. I've got a few .22's, long and short. I've got a couple 10-22's, both stock, the S&W M&P15-22, a Browning Buckmark Practical URX with an Aimpoint red dot scope, a Taurus stainless 8 shot revolver, and a Kimber conversion slide for my 1911's. I keep promising myself I'll get a Henry AR-7. Had an original that I foolishly sold. I understand the Henry AR-7 is pretty decent. I forgot 3 other .22's I've got (you know you have too many guns when you start forgetting what you own...). Anyway, I also have an old Remington Nylon 66, a Rossi 62SA pump (like the old Winchester 62), and an old Remington semi-auto but I can't remember the model; it's a cheapie that I bought from a local guy over 20 years ago for maybe $50 with a cheap 4x scope attached. Mounted up the Athlon scope last night and put it in the stock off my other MKII. 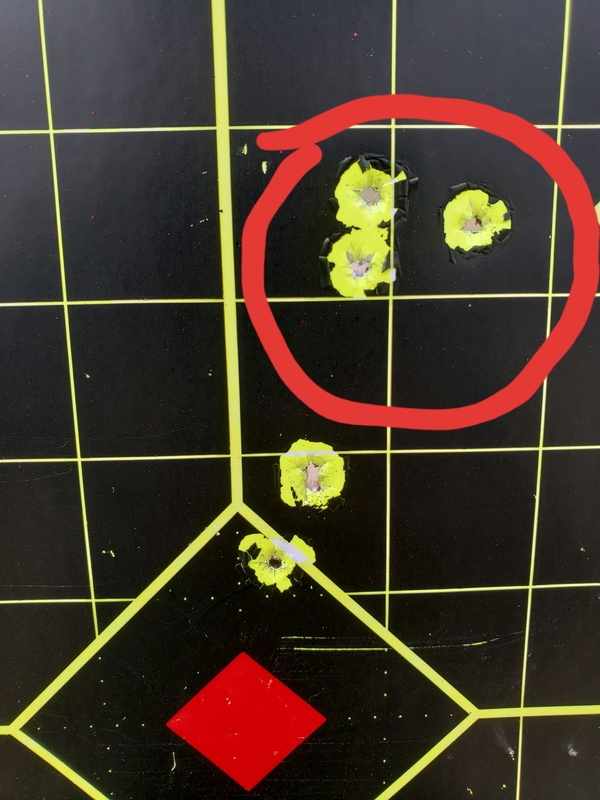 Only shot paper at 50 yds but I put a few on the 200yd steel plates. Ran a couple mags and pulled a boresnake through the barrel to break it in. Then got down to business on paper. 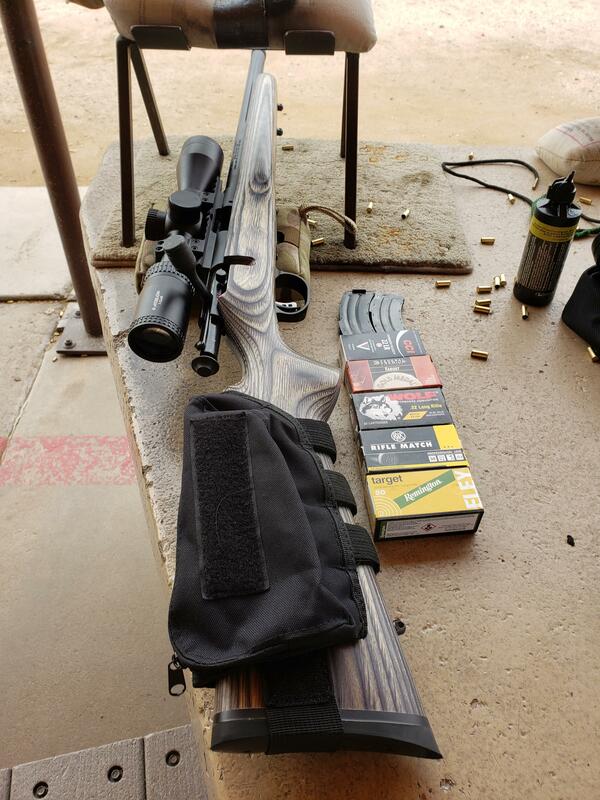 First group ever through this rifle! 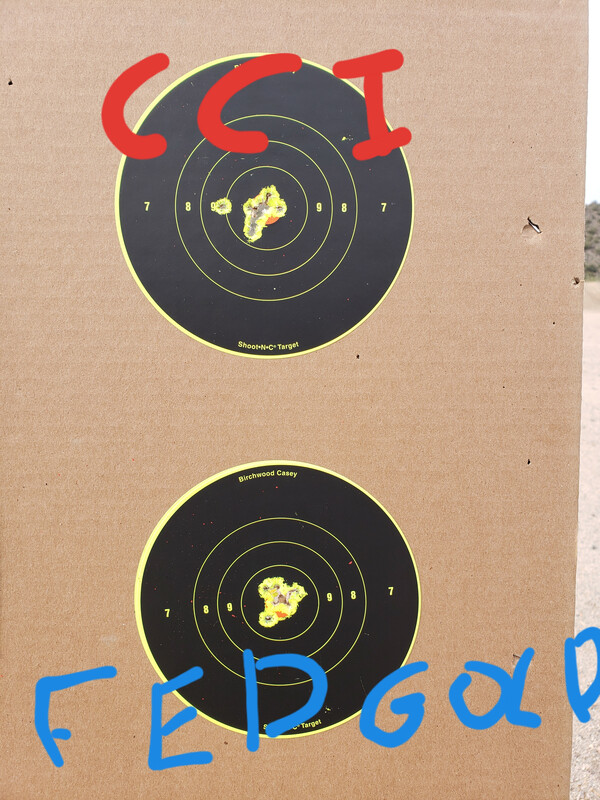 Shot a couple more groups, CCI standard and Federal gold medal target. These were 10 round groups, very happy. Then I finished up my day shooting a little bit of everything to see what it likes. So far CCI standard and Federal Gold target are in the lead. 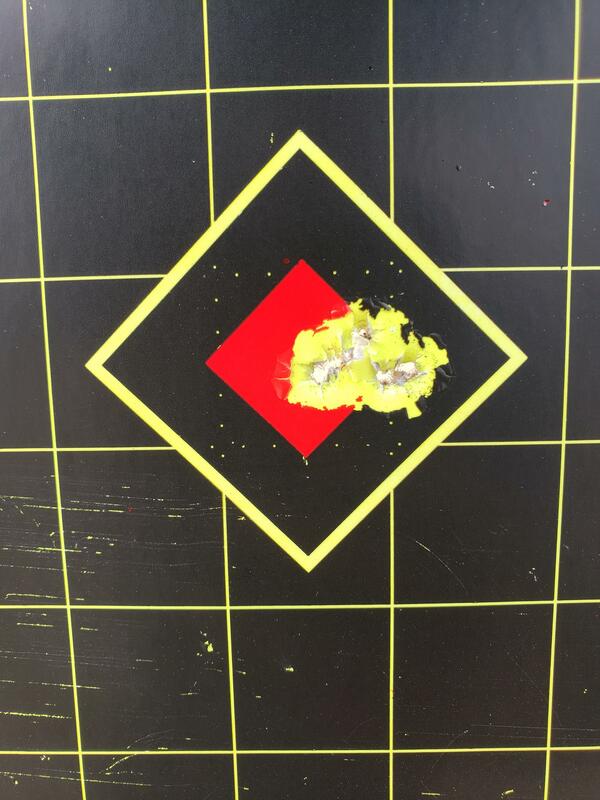 This was a brand new action and accuracy wise it was a big fan of CCI standard. However it failed to extract ALL THE TIME just like my other MKII FV SR. 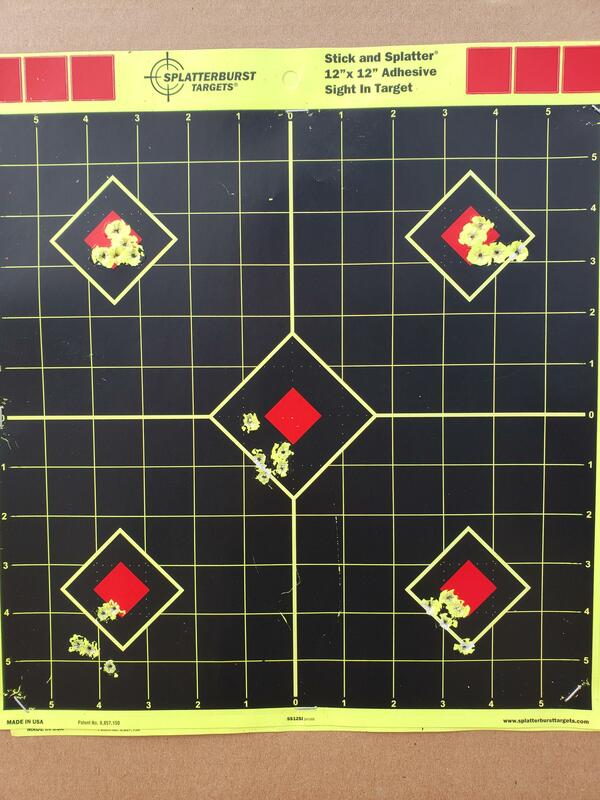 I didn't have any issues extracting w/ the CCI Velocitor or any of the other ammo. Not sure what could be causing it. I even would shot 10 rounds of CCI and it would fail to extract, fire 10 rounds of anything else and it would be fine then back to CCI and it would continue to fail. Very odd. I found my various rifle pistols like different ammo, what works great in one becomes Sir Jamalot in another. Now I keep my mags beside the ammo it likes, which saves me hassle when I decide to use them.